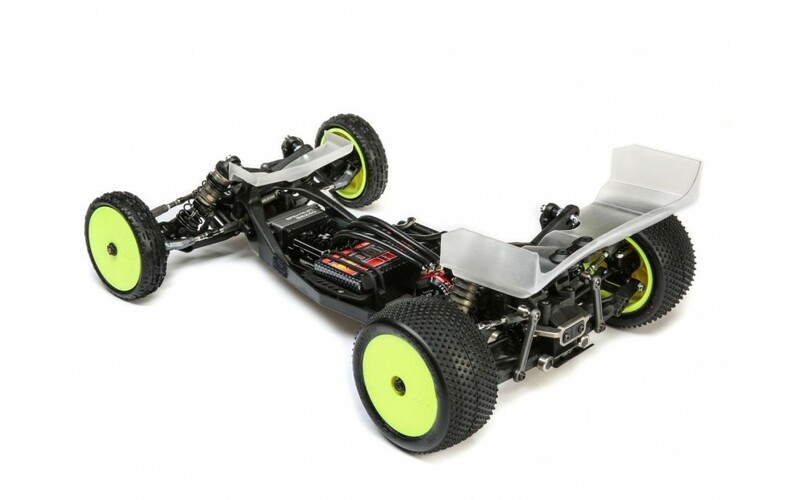 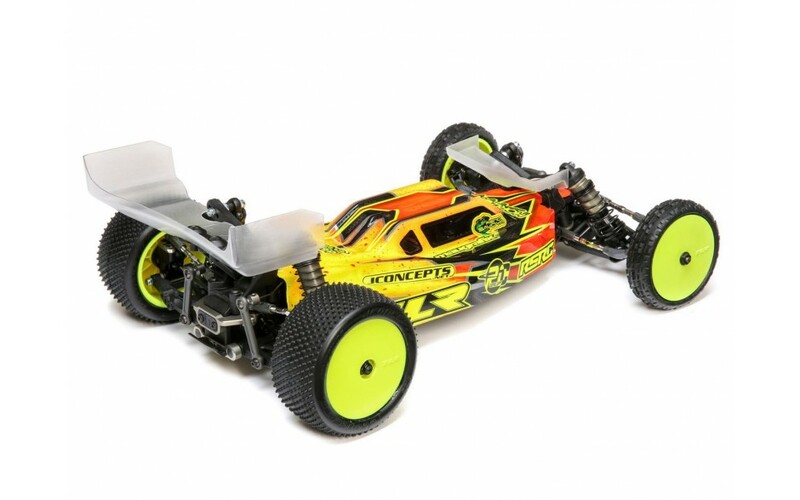 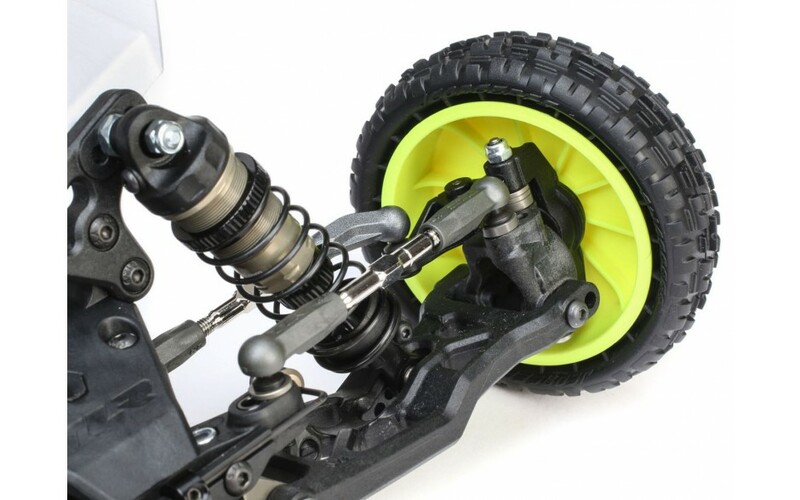 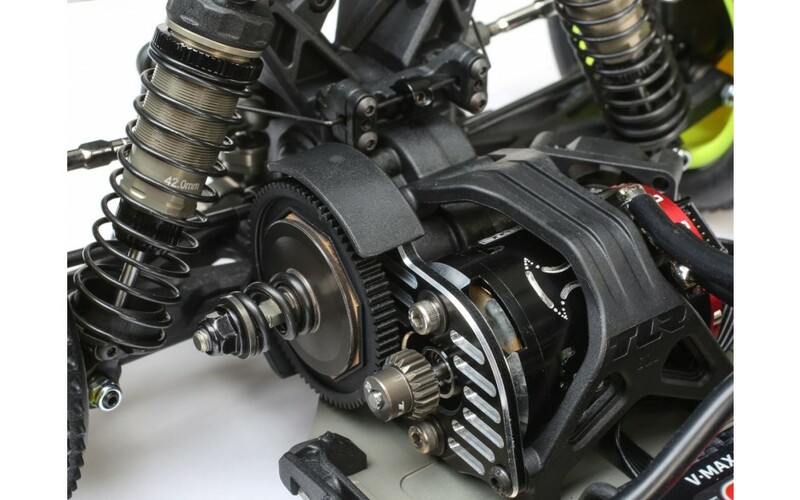 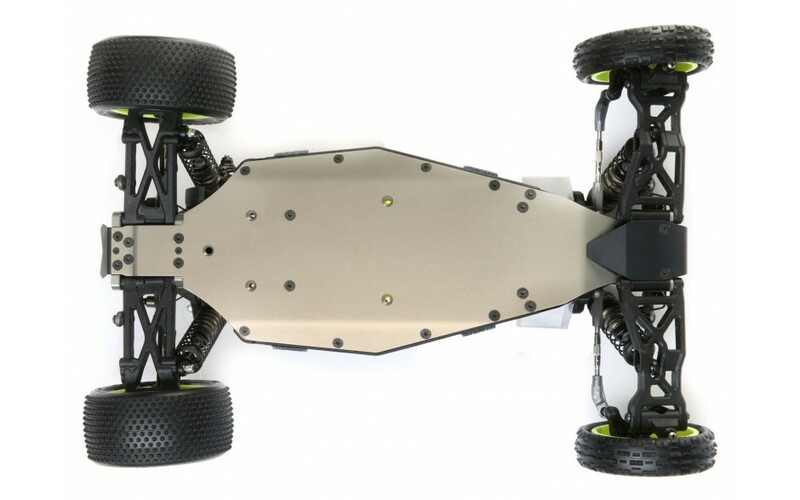 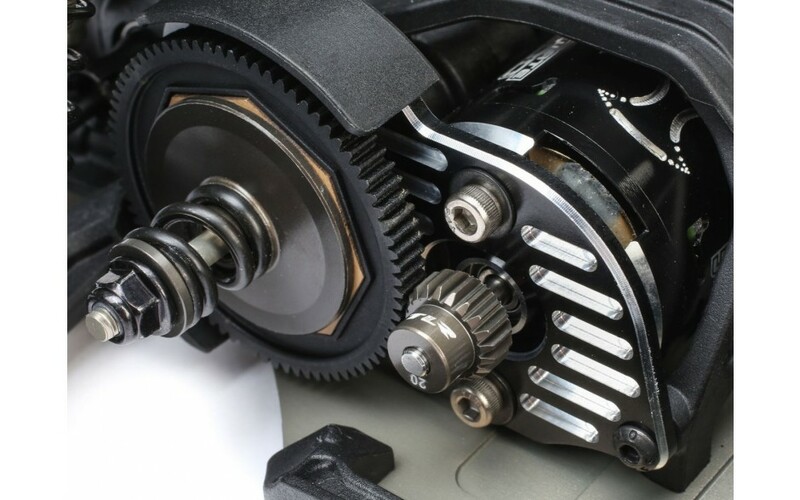 The 22 5.0 AC buggy kit builds on the trailblazing engineering of the 22 4.0 buggy and once again sets the standard for 2WD buggy versatility and drivability on carpet and turf surfaces. 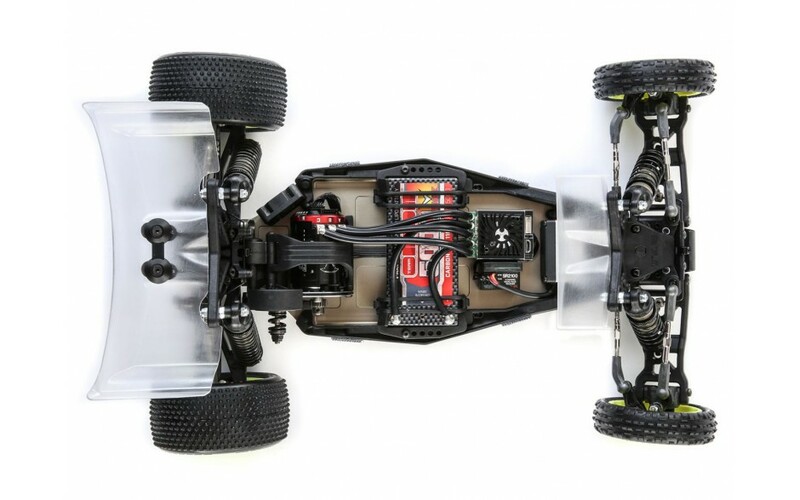 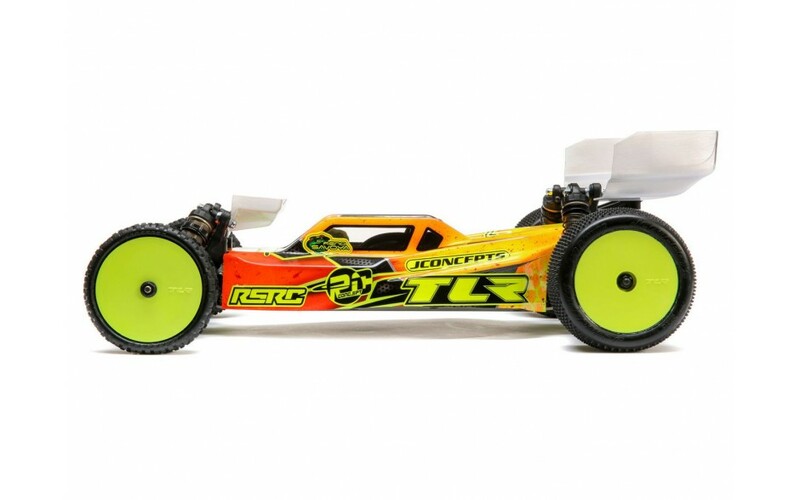 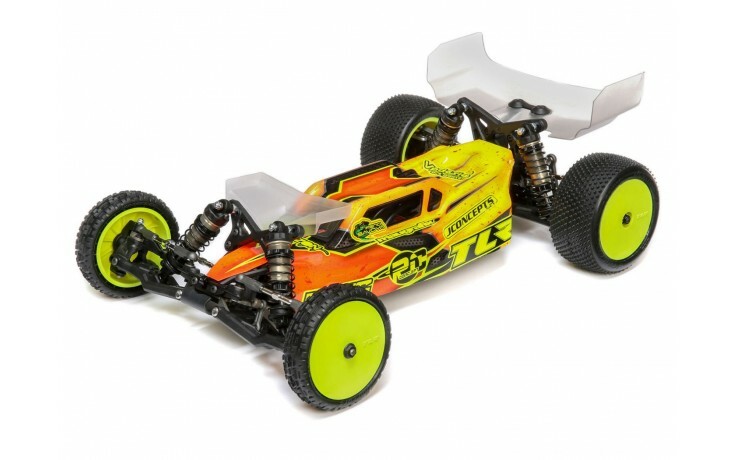 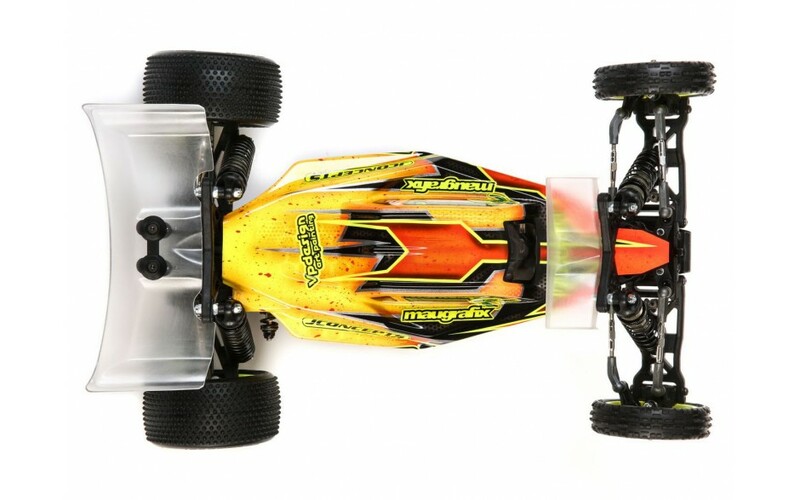 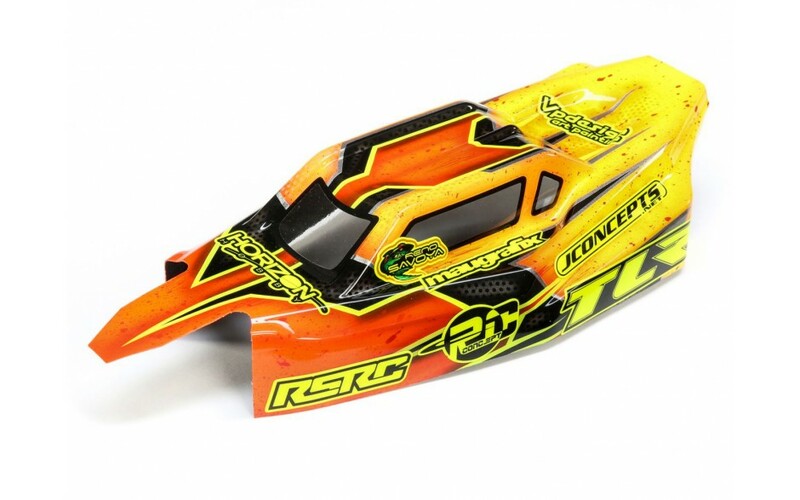 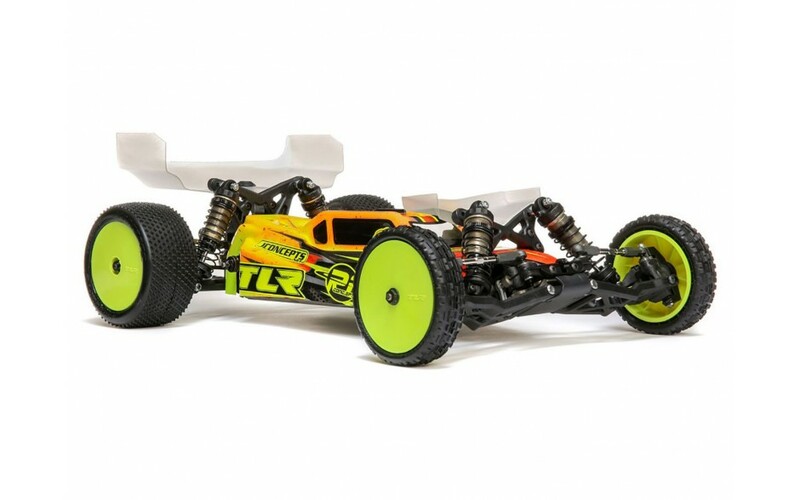 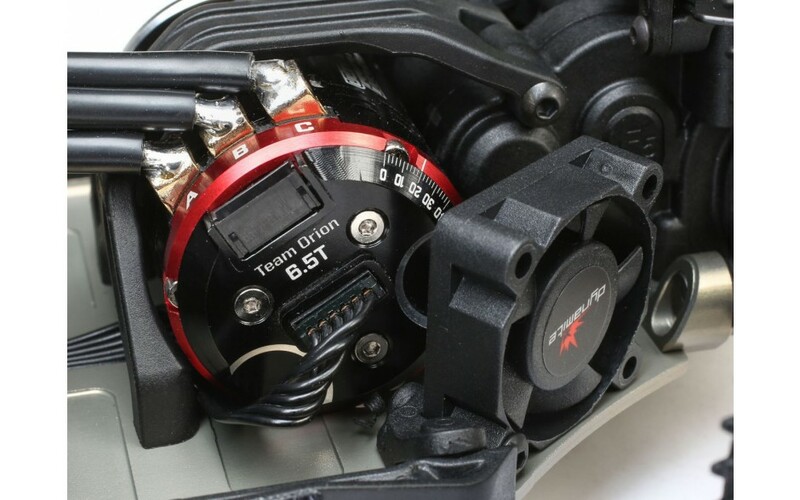 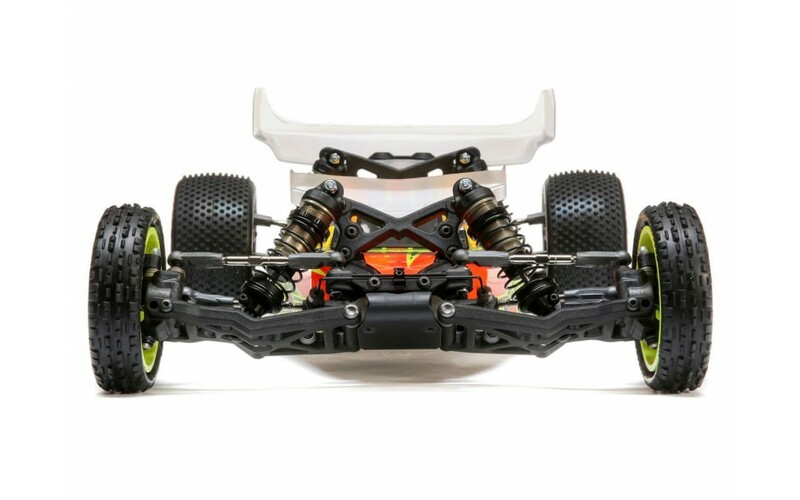 With the higher speed, higher grip tracks of today, the TLR wide front wing will increase steering in high speed turns and on power, while making the steering on entry smoother - the best of all worlds. 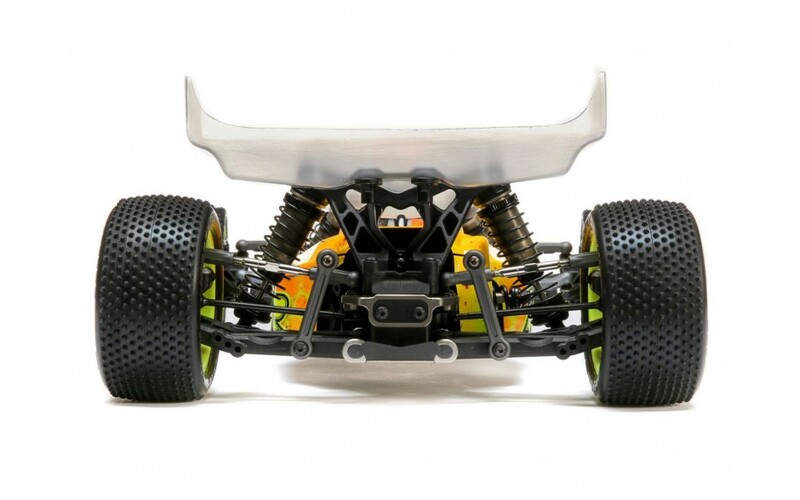 And, it's included in the kit. 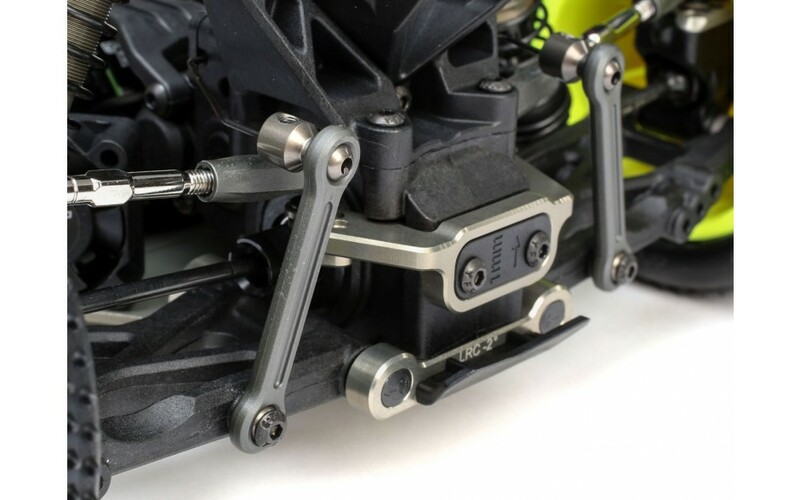 Aluminum-Plate Rear HubThe molded-composite hub base allows a bearing to be press fit without play and minimal un-sprung weight. 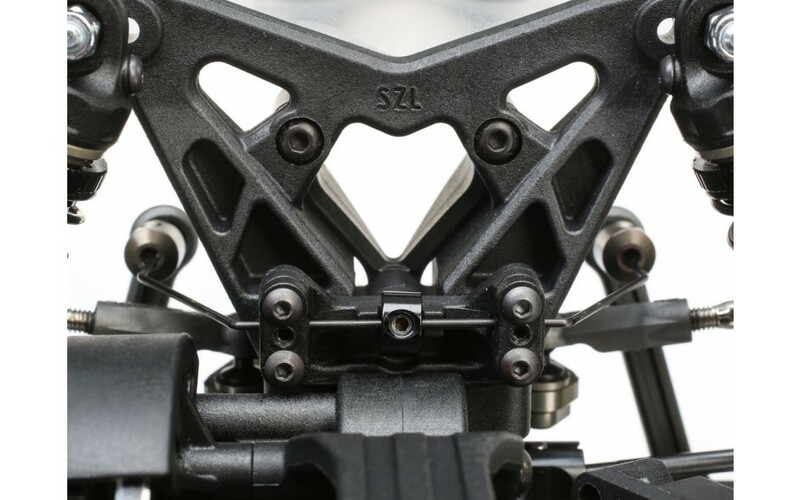 An aluminum plate is secured to the hub with an M3 screw and ball stud which is vertically adjustable. 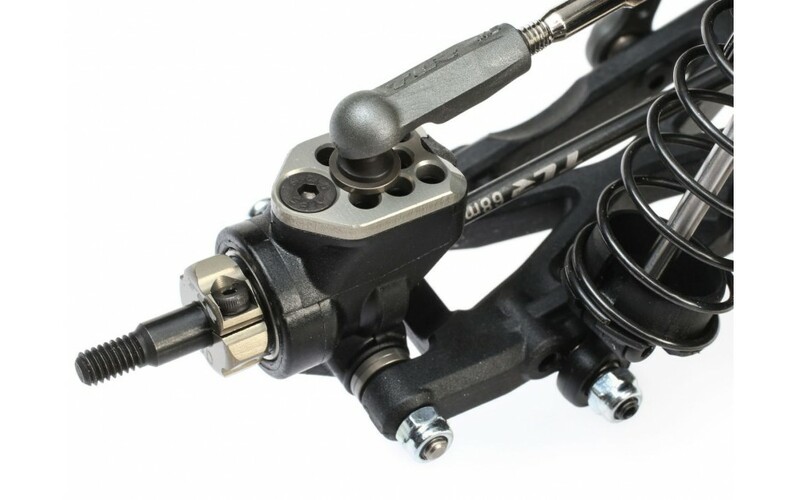 Now the ball stud is supported by aluminum from pushing or pulling out, while still threading into composite so it won't work loose.